Cheap flights from many European cities to Livingstone, Zambia €464! Cheap flights from Paris to Zanzibar from €371 roundtrip! One more solution to Africa with Virgin Atlantic available to Livingstone in Zambia, an entry gate to incredible Victoria Falls. Flights have two laoyvers on your way..one in London and second one in Johannesburg. (Where intra-european legs are on British Airways and in Africa on Kulula/Comair – also part of BA). Return flights with two layovers in London and Johannesburg to this city in Zambia are now available from €464. (Incl. all taxes, onboard meals and checked-in luggage). Look for departures from Benelux, main airports in Switzerland, France, Italy or Germany. Also from Bucharest, Zagreb. Belgrade, Vienna, Helsinki or Dublin. Virgin Atlantic / British Airways promotion is valid for flights departing from Europe to Livingstone from 1st of February to 27th of March 2019. Book this promotion with Virgin Atlantic and British Airways till 7th of December or until the cheapest seats last..At this moment great availability in said travel period..Please refer to our booking samples on each of the Europan routes below..
To check your connection possibilities we recommend to use Skyscanner. This tool gives you quickly an idea which low-cost airlines are available from your home city. To book some affordable accommodation in Zambia we recommend service of Booking.com. You can also use this currently valid Hotels.com promotion code. 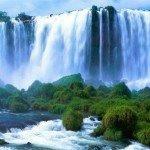 Booking sample of cheap flights from many European cities to Livingstone, Zambia from €464! As per our booking sample you would depart from Luxembourg to Windhoek on 9th of March. Inbound flight from this African country back to Benelux on 23rd of March 2019. Do not miss this rare promotion and book Virgin Atlantic / British Airways discounted flights to incredible Namibia..